Dogs can’t stay healthy on a Vegetarian Diet! Can they? Dogs are naturally born carnivorous (“… derive energy and nutrient requirements from a diet consisting mainly or exclusively of animal tissue… “), but, due to the domestication by man, it seems man’s best buddy turns to be more omnivores metabolically. We usually feed our dogs with kibbles of commercially available dog food. A balanced formula approved by the Veterinary Medicine specialized in Animal Nutrition. These dog foods are well-studied and have the equally divided amount of calories, vitamins, and minerals. They comprise the basic need of a certain breed, size, and type of dog. 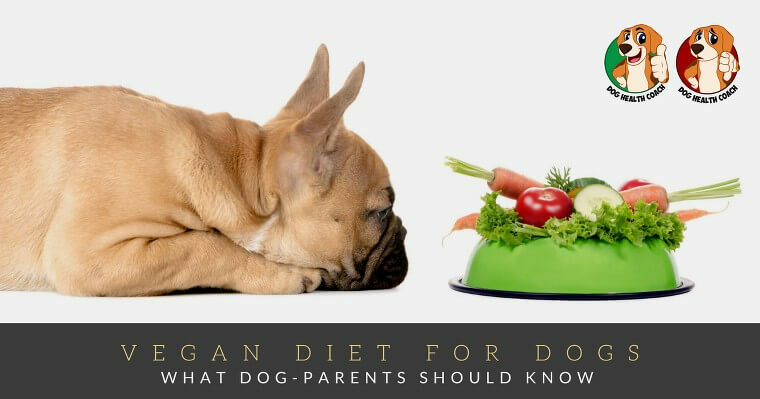 Therefore, is it really possible to feed our dogs with a purely vegan diet? Our dogs from puppyhood to adulthood need protein (more than human do) to achieve the proper size. Dogs belong from the order Carnivora, but due to human intervention, they are now omnivores (“…have the capability to obtain chemical energy and nutrients from materials originating from plant and animal origin”). Nowadays, meat, beef, eggs and other animal source by-products are added to our dog’s diet. These give the basic needs for amino acids, fats, protein, etc. Protein is the foundation in the formation of tissues and even bodily enzymes and hormones. Therefore the lesser the amount of protein on food intake, the higher the chance for our dogs to not achieve full size or experience stunted growth. A dog’s anatomy is destined to grow based on its genes and support by physiology with the proper and adequate amount of diet. A purely vegan diet is free from any animal source of food, including the dairy like milk and cheese, not good for dogs anyway. Also, no egg is on a vegan diet. Most of all, NO MEAT in the average daily food consumption. 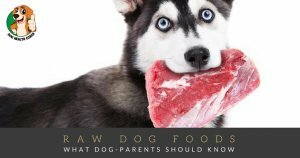 Make sure to check out our infographic on what foods dogs can and can’t eat! Are There Benefits of Being a Vegan Dog? It gives natural fibers which aid in a good bowel movement for dogs. But too high fiber is not good for dogs. It may induce super peristalsis movement causing diarrhea, like in the case of avocado’s effects in Dogs. The natural soothing effect for gastrointestinal system. The flora in the intestine is usually destroyed due to chemicals present in a commercially available dog food and antibiotics residue. This diet gives little to no dental trouble for our dogs. It helps lessen the chance of Food Allergic Reaction (FAR). Plants have natural anti-inflammatory, antibiotics, antihelmintic and antioxidants properties. Vegan causes imbalanced dog nutrition, although veggies have nutrients and minerals. It is not enough to feed the satiety center of the dog. The Vitamin D2 present in plants is less needed compare to Vitamin D3 in meat and animal by-product present in commercially available dog foods and raw dog food diets. Taurine from the animal by-products is needed for cardiac muscle. It is not present in any vegan diet for dogs. Long-term absence of Taurine may cause Cardiomyopathy (“…diseases that affect the heart muscle.”) and Cardiac (Heart) failure. Calcium from bone meals which again comes from other animal by-products is needed for a number of functions in our dog’s body. From muscle contractions to bone formation. Lack of Calcium causes multiple numbers of diseases. If you don’t know about the phytochemical composition of edible plants, you could miss out on essential nutrients, such as calcium, iron and vitamin B12. Don’t turn puppies age <1yr old to vegan. They won’t achieve the growth and development they are supposed to. 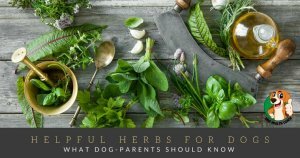 Consider plant food sources that are safe for your dogs. Remove toxic veggies like onions, garlic, grapes, etc. Consult a veterinarian before feeding your dog a homemade vegan diet. Ask them for recommendations and additional safeguards. At least 1/3 to 1/2 of our dog’s meal should give quality protein. The other portion can be a combination of grains, raw and cooked vegetables, as well as supplemental items. Protein – High-quality protein sources include legumes – soy beans, lentils, and split peas, peas. Other high-protein foods include tofu, TVP, hummus, garbanzo beans (ground/blended). Carbohydrate – Rice (brown or white), quinoa, oats, barley and corn grits or blended fresh corn kernels. Enzymes and Beta Carotene can come from pumpkin, squash, yams, carrots, and also other small bits of broccoli, brussels sprouts, cooked cabbage, grated raw carrot, beetroot, sprouts, and dark leafy greens (should be finely chopped and mixed in well). Oils and Fatty Acids – Available in sesame seed, flax seed oil or ground flax seeds. Dogs stay healthy on a Vegetarian Diet – but be careful! As a responsible dog owner, we should make an effort to ensure our dog’s diet are nutritionally complete, just as so you would for a human regardless of the diet type (vegan, vegetarian, pescetarian, raw, etc.). The best thing you can give your dog is to always keep on track with the latest innovation in food research for dogs. Always seek the advice of your veterinarian. And, to feel secure in your decision, we suggest that you do some personal research as to the nutritional requirements of your dog’s specific breed, before deciding what to feed your dog. But, no matter what you feed, as long as your dog is healthy, safe and happy, you will be worry-free! How about your experiences? Vegetarian dogs, total BS or the next step in evolution?